Manufactured for specific purposes, hoses and pipes are not interchangeable. Although two black rubber hoses may be the same size and have a similar appearance, they have different purposes and specifications. Substituting a similar-looking hose without ensuring it meets the required specifications virtually guarantees issues with the system and possibly even engine damage. 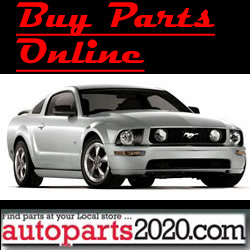 Count on the auto part professionals at Auto Value of West Ishpeming to help you find the correct replacement part. When choosing hydraulic hoses, remember the correct length, size and vacuum ratings are critical. Hydraulic hoses of the wrong size will lead to insufficient pressure and thus poor performance. For all your hydraulic hose needs, call or visit Auto Value of West Ishpeming today. We offer a wide range of hydraulic fittings, adapters, and couplers for your vehicle.